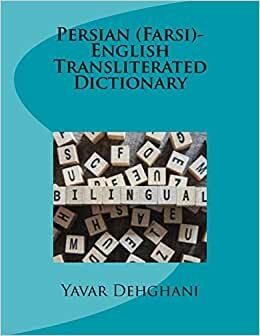 This dictionary uses transliteration as the basis for the word entries and makes it easier for the language learners who are not familiar with the Persian script or are not skilled enough in using it. In those few dictionaries which use transliterations, since the alphabetical order is based on Persian script, it is very difficult and in some cases impossible for a non-native speaker to find the word, especially for those who are at the first stages of learning the language. However, in this method, they would be able to find the transliteration as quick as the English word and they can match it with the equivalent word in the script. So, this dictionary is the first one which can be used by those who even do not know writing and reading in Persian script. 1.0 out of 5 starsPersian script backward in Kindle edition. In the Kindle edition, the Persian writing is backward and unjoined. 5.0 out of 5 starsA good resource. The dictionary is very useful and helpful; it is not comprehensive and there should not be any expectation for it to be. I find any attempt to provide transliteration admirable and it really assisted me as a beginner.